For my get pushed challenge from Frogger @tdaug80 - How about trying a nighttime scene? @tdaug80 Tim, here is a response to your challenge. I had something else in mind but didn't manage to get it organised in time so had to resort to spending time in my garden. Nice shot for your challenge! 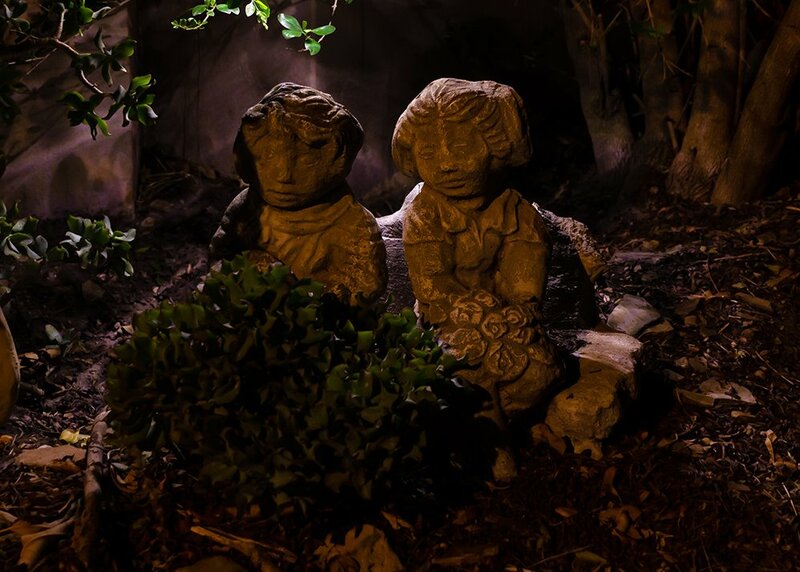 Lovely garden ornaments and a great night shot. Cute wee figures looking quite time worn here! @salza Sorry, I'm a little behind on my notifications. I completely missed this. Here's another idea that you might try with this subject: Intentionally underexpose the shot, and then use a flash light to selectively illuminate the sculpture. It might be fun. This technique works well with long exposures. You can use the flash light to "paint" the parts of the scene that you want to be highlighted.